Wallace and Gromit highlight inventions inspired by nature, innovations related to our five senses, transportation inventions and many more! 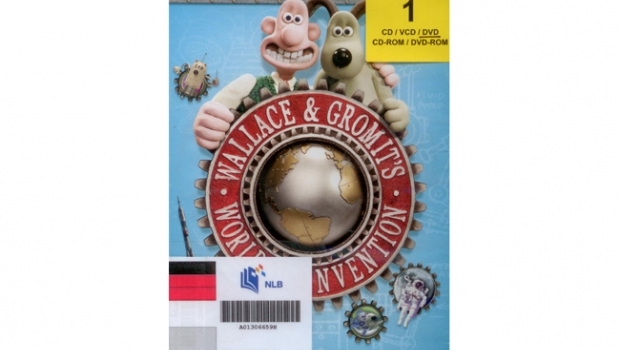 This DVD of the 6-part series on the world of inventions is one suitable for family viewing. From a one-man-submarine (that was home-built!) to special glasses that helps the blind ‘see’ with their tongues! What sets this apart from other series, besides its humorous presentation, is that it highlights inventions that are still in development rather than runaway successes. Viewers are also shown inventions from the past that, while amazingly creative, did not quite change the way we live. The road to invention is indeed one of creativity, hard work and often ‘failure’. For the adventurous, the DVD also has extra footage of nifty gadgets you can build at home. But be warned, they generally require a drill and a hot glue gun. Publisher: Santa Monica, CA: Lions Gate Home Entertainment, 2012.